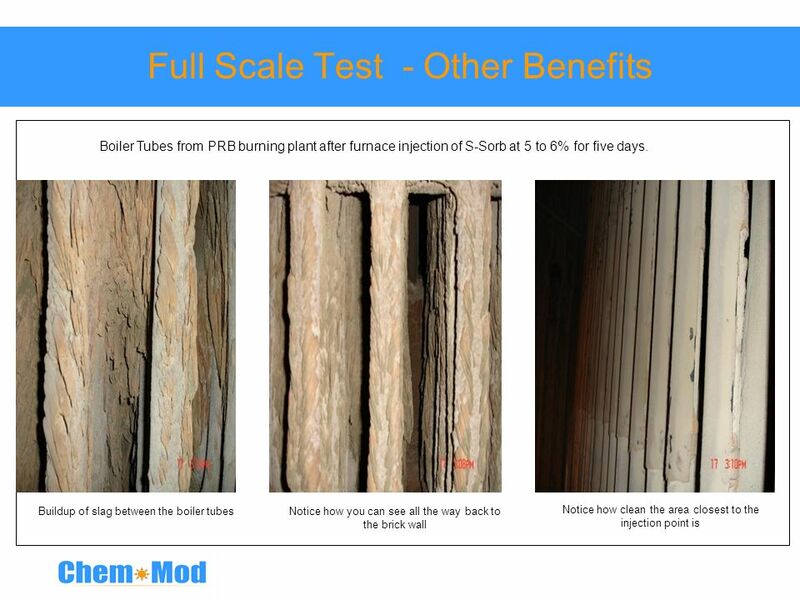 Buildup of slag between the boiler tubes Notice how you can see all the way back to the brick wall Notice how clean the area closest to the injection point is Boiler Tubes from PRB burning plant after furnace injection of S-Sorb at 5 to 6% for five days. 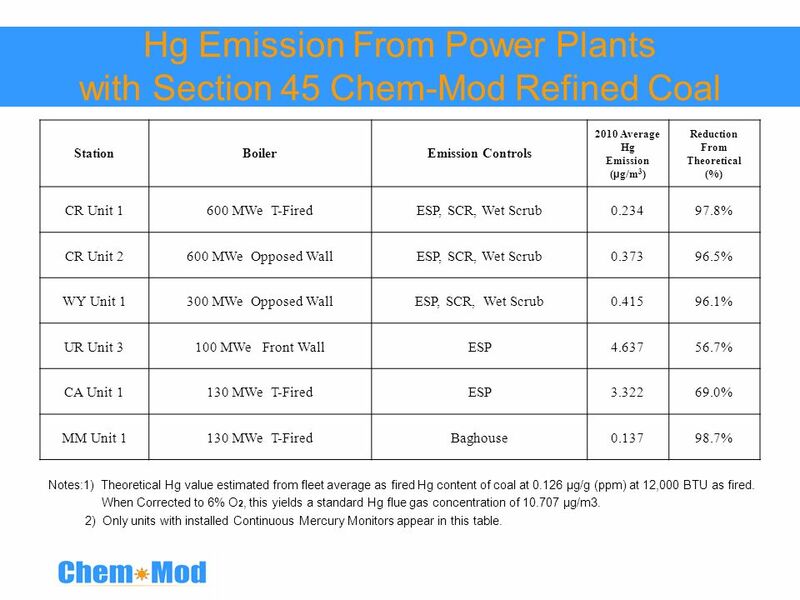 Station Boiler Emission Controls 2010 Average Hg Emission (µg/m3) Reduction From Theoretical (%) CR Unit 1 600 MWe T-Fired ESP, SCR, Wet Scrub 0.234 97.8% CR Unit 2 600 MWe Opposed Wall 0.373 96.5% WY Unit 1 300 MWe Opposed Wall ESP, SCR, Wet Scrub 0.415 96.1% UR Unit 3 100 MWe Front Wall ESP 4.637 56.7% CA Unit 1 130 MWe T-Fired 3.322 69.0% MM Unit 1 Baghouse 0.137 98.7% Notes:1) Theoretical Hg value estimated from fleet average as fired Hg content of coal at µg/g (ppm) at 12,000 BTU as fired. 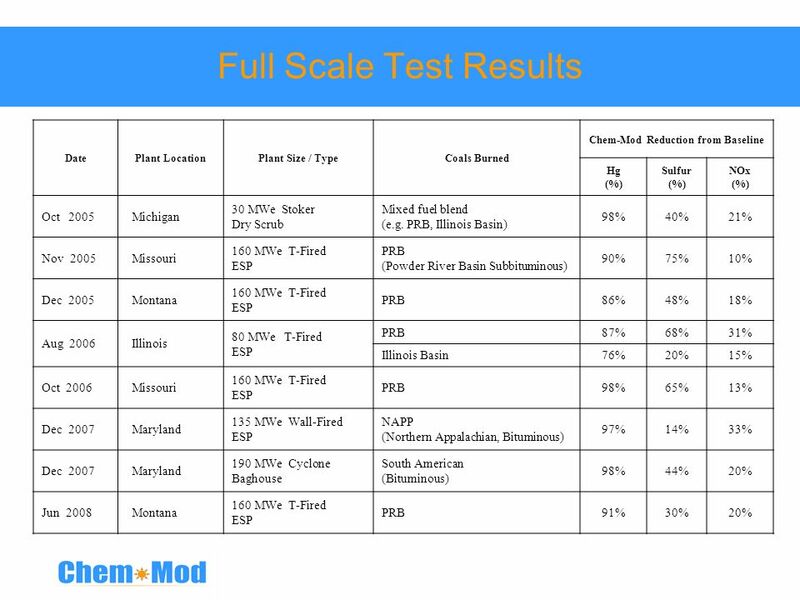 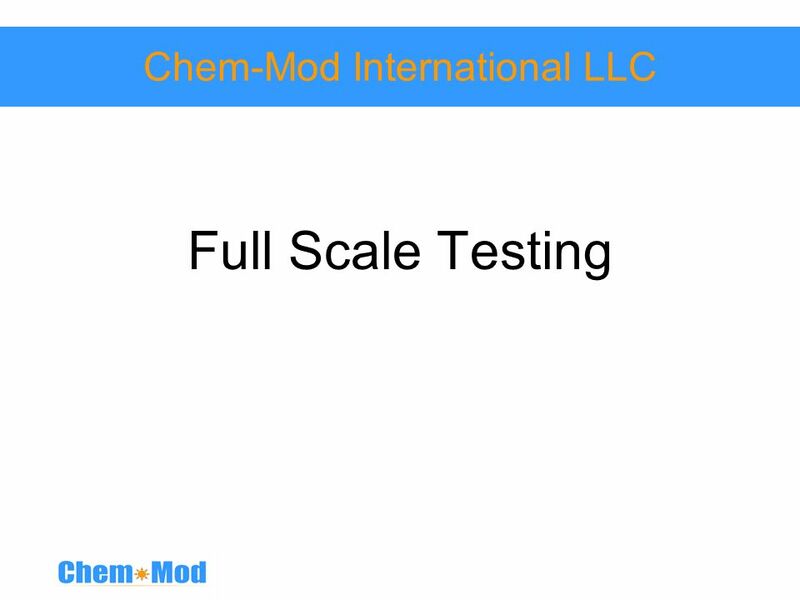 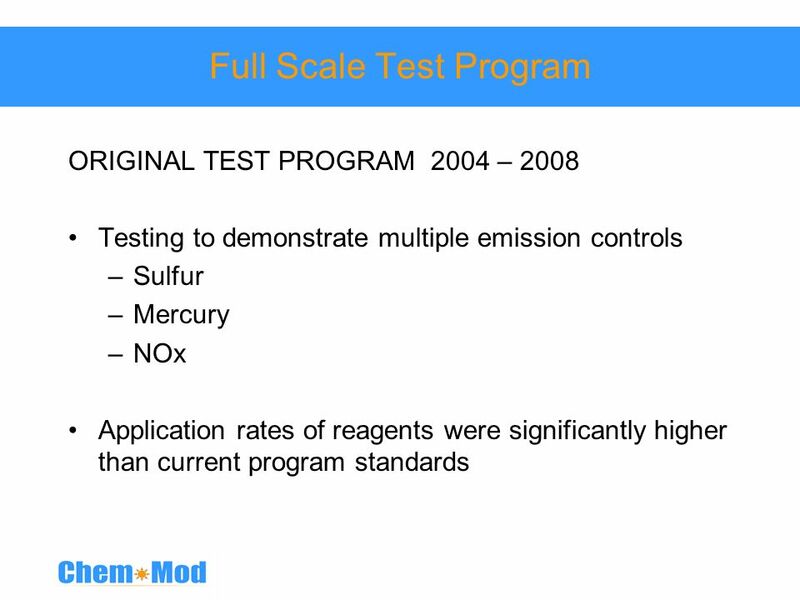 When Corrected to 6% O2, this yields a standard Hg flue gas concentration of µg/m3. 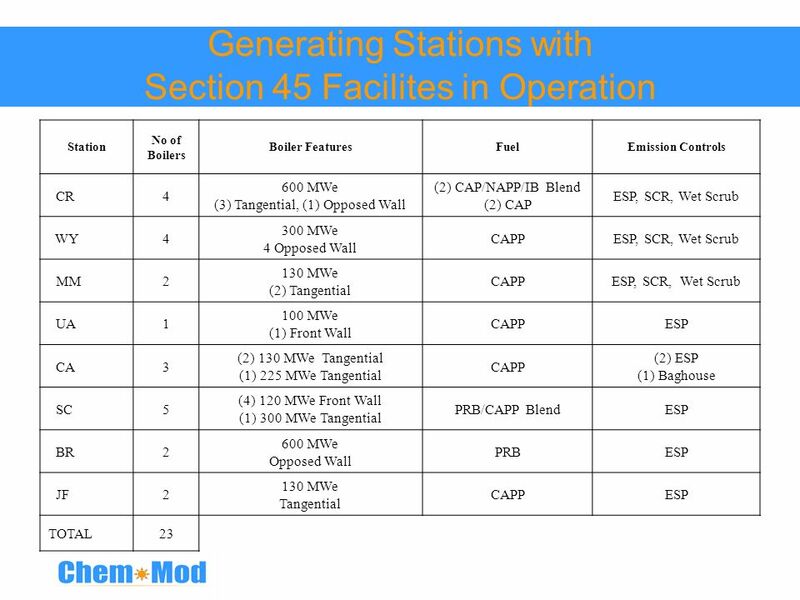 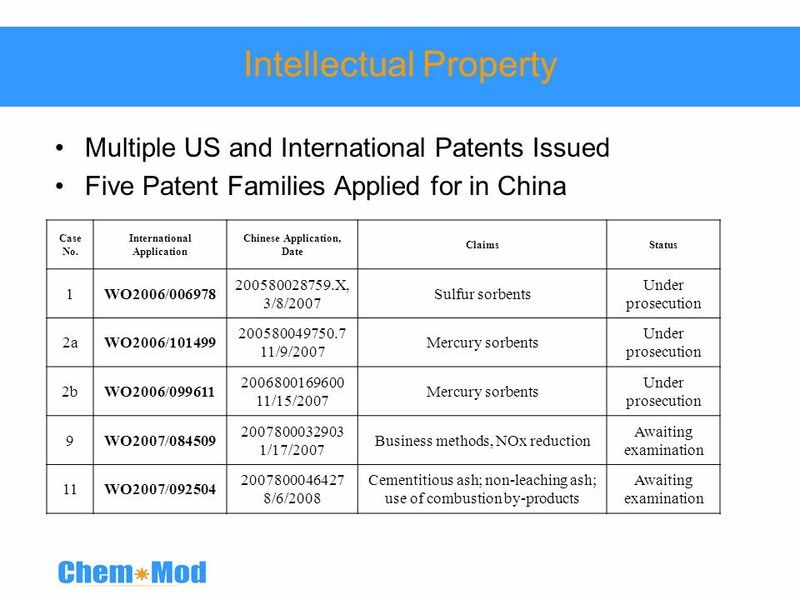 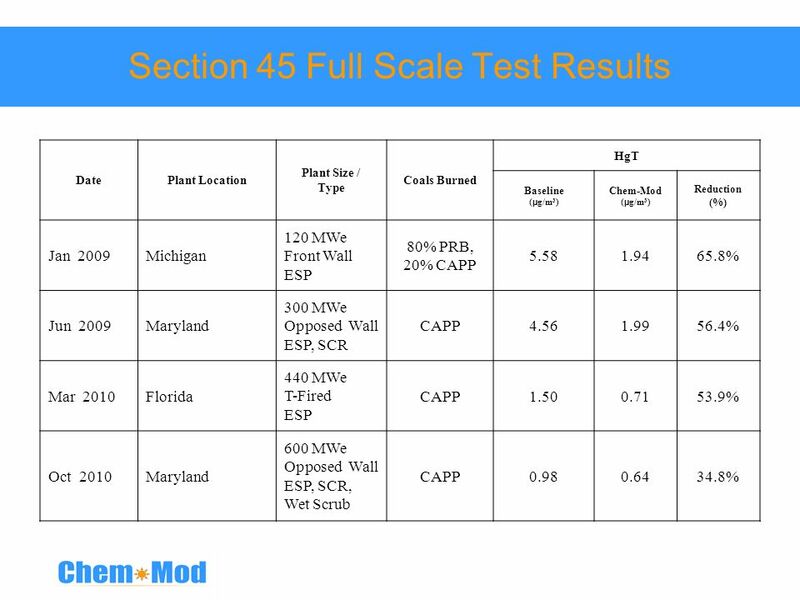 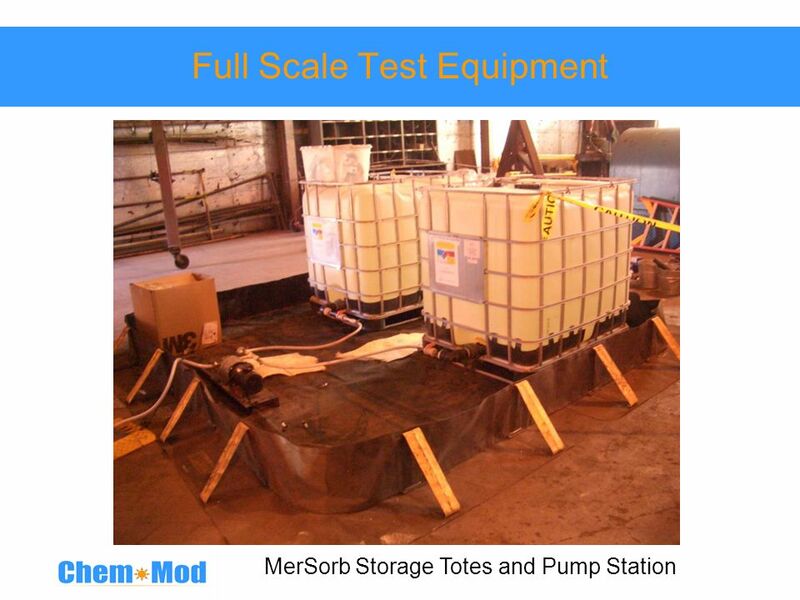 2) Only units with installed Continuous Mercury Monitors appear in this table. 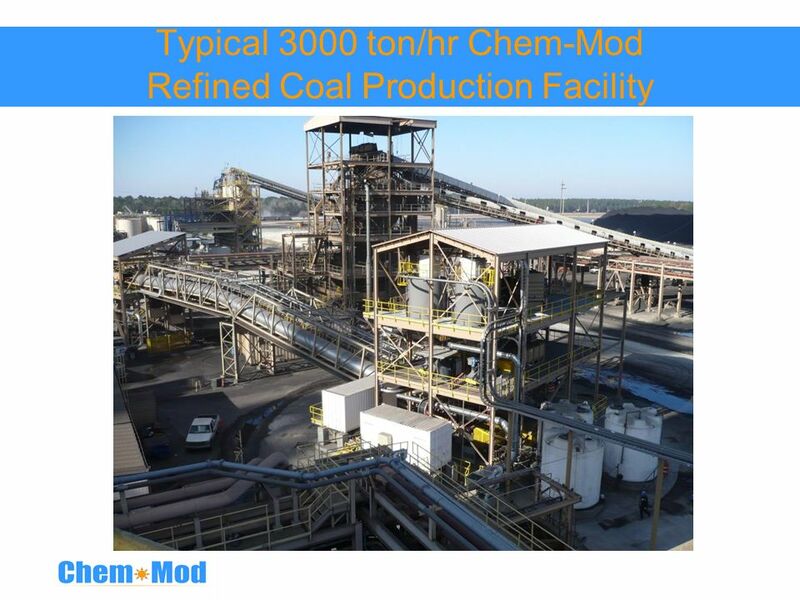 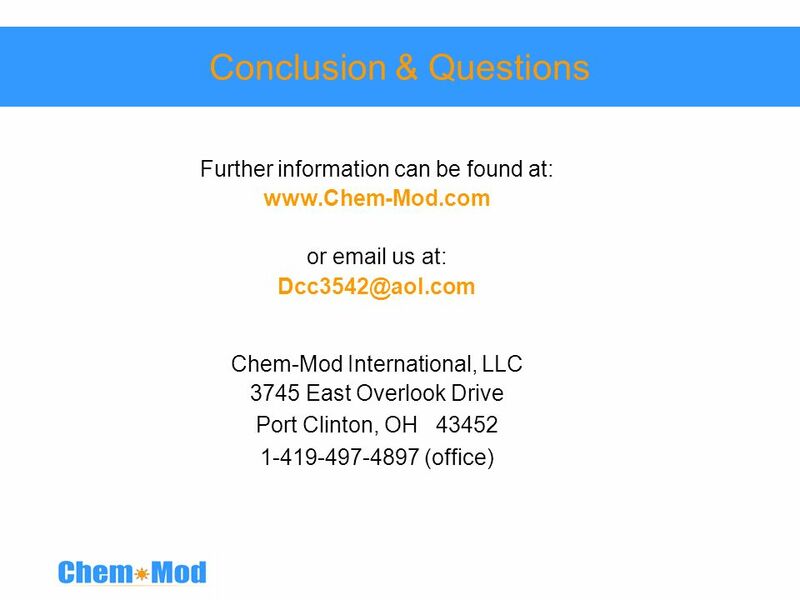 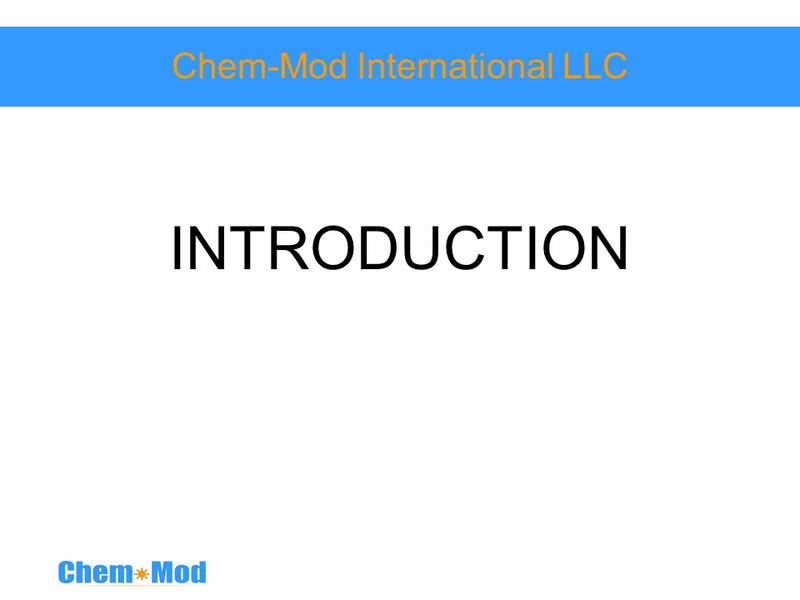 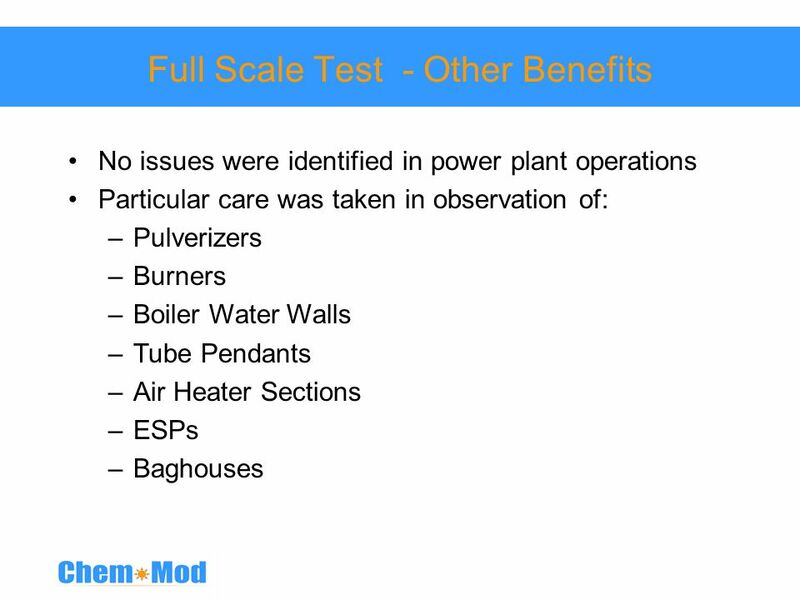 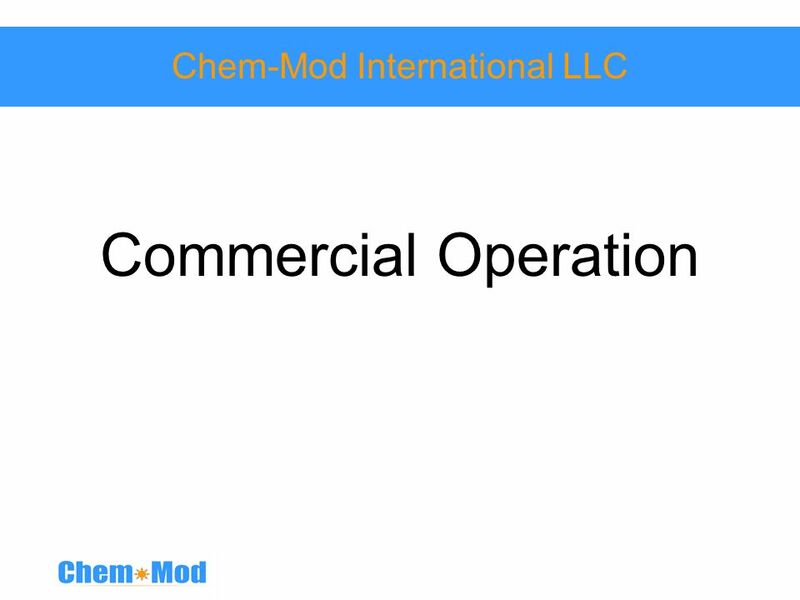 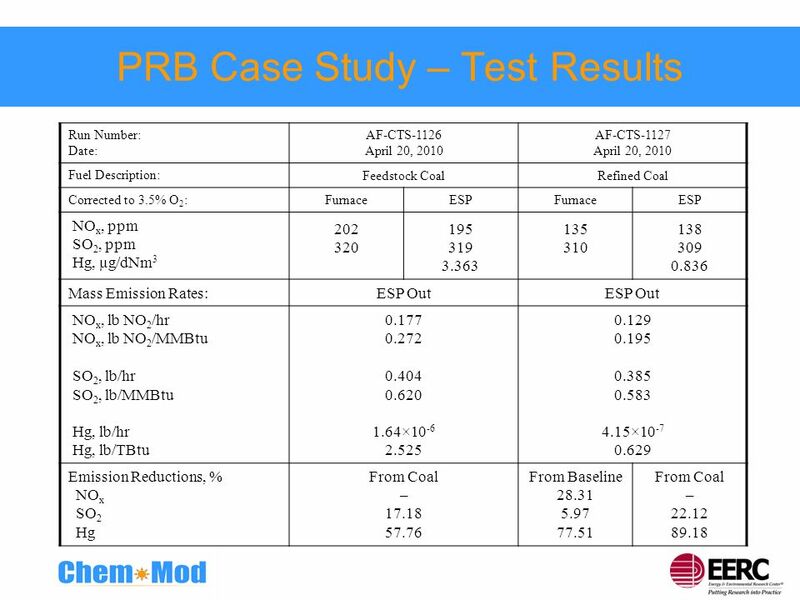 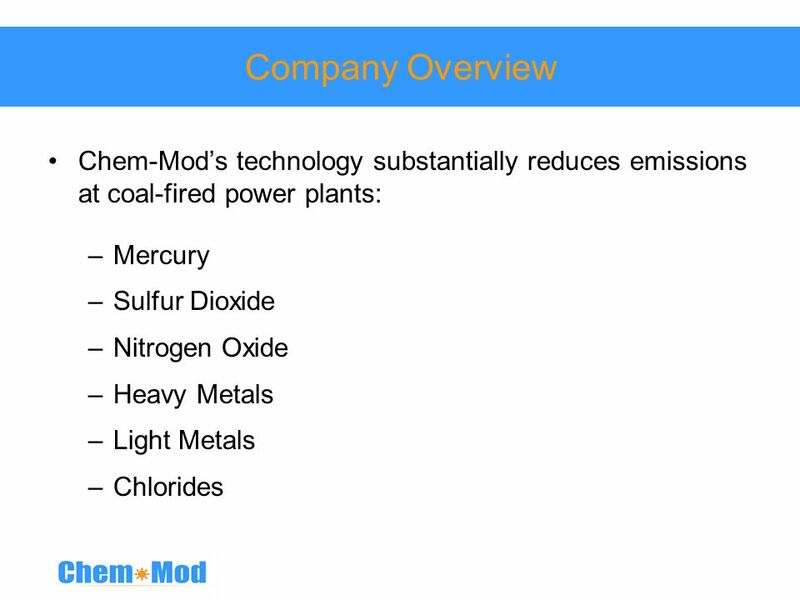 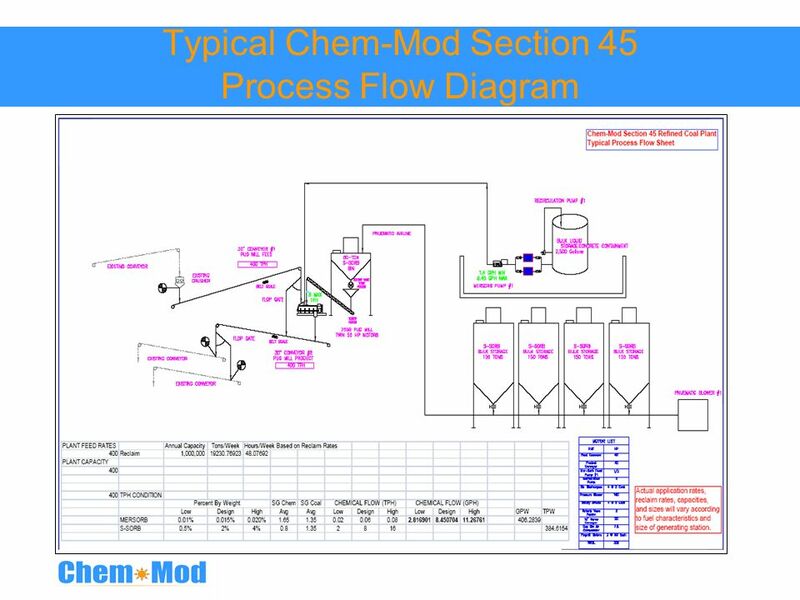 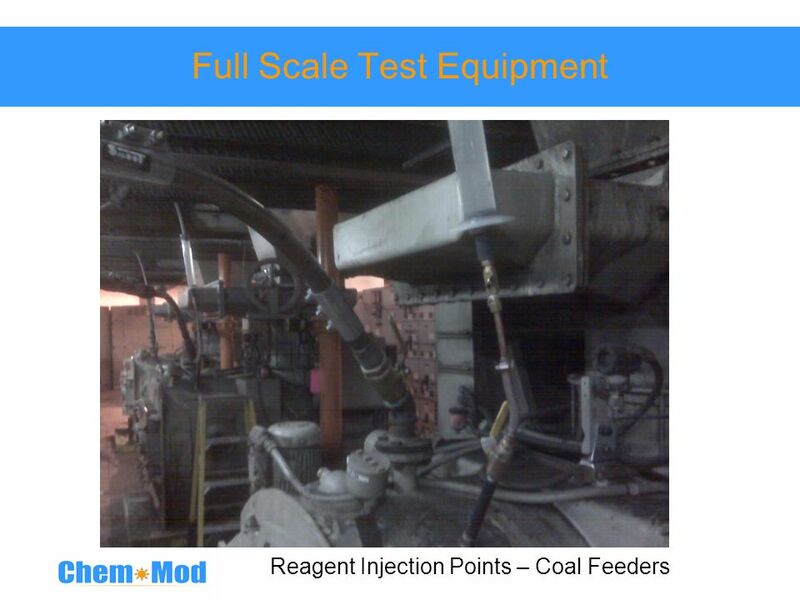 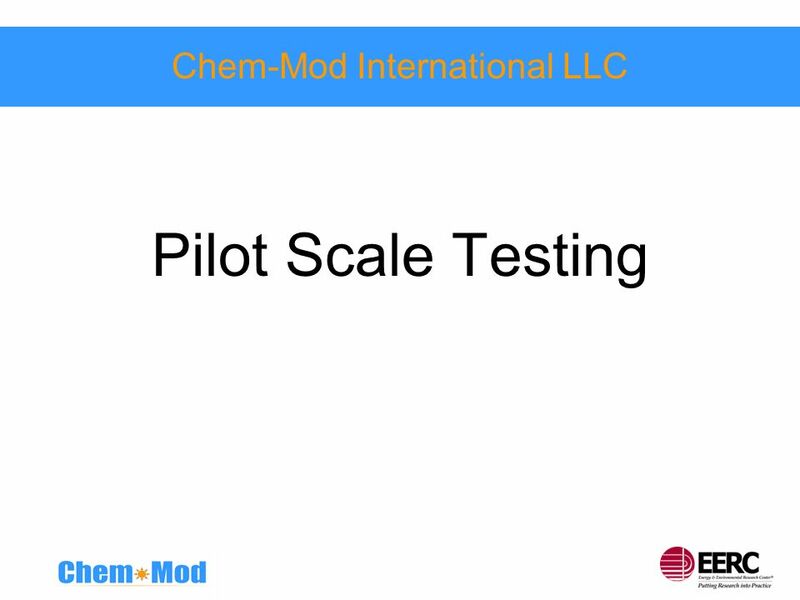 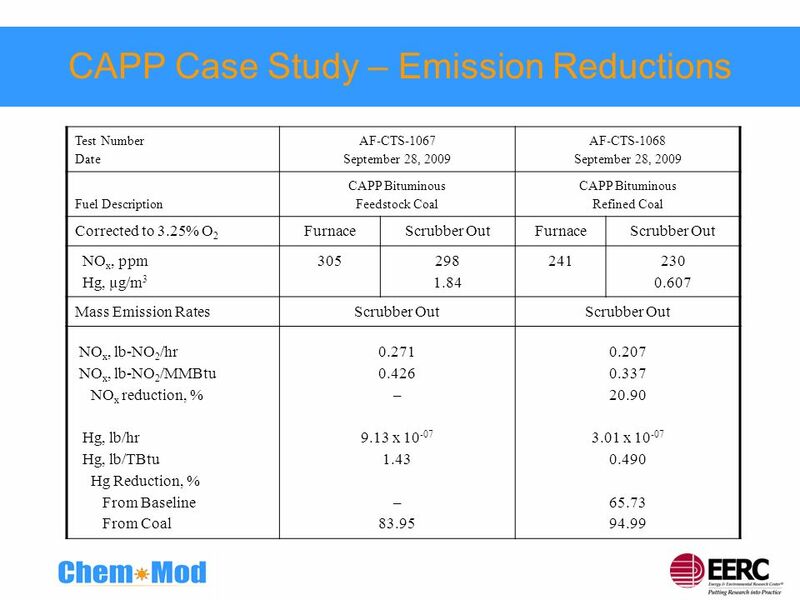 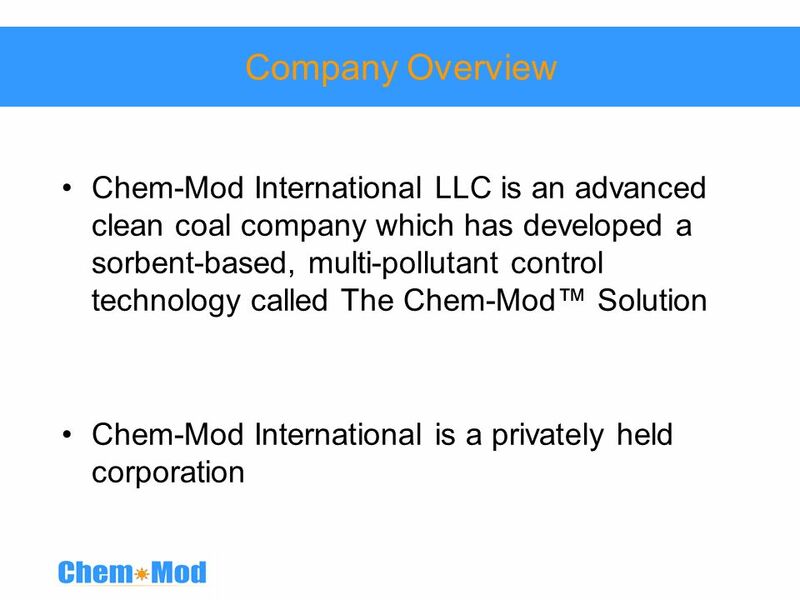 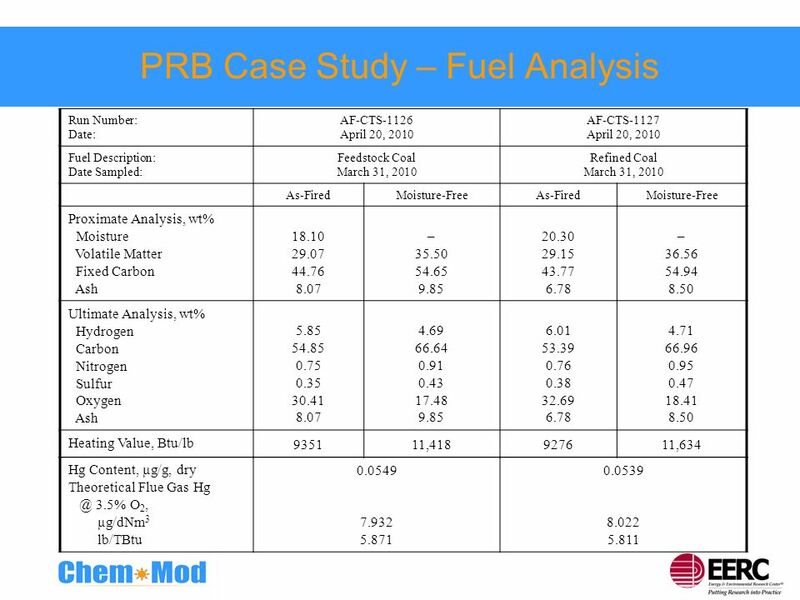 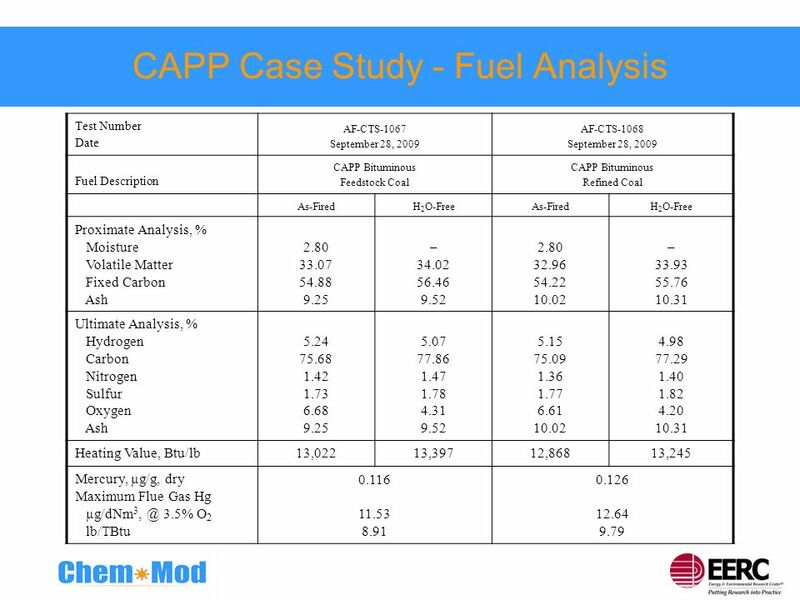 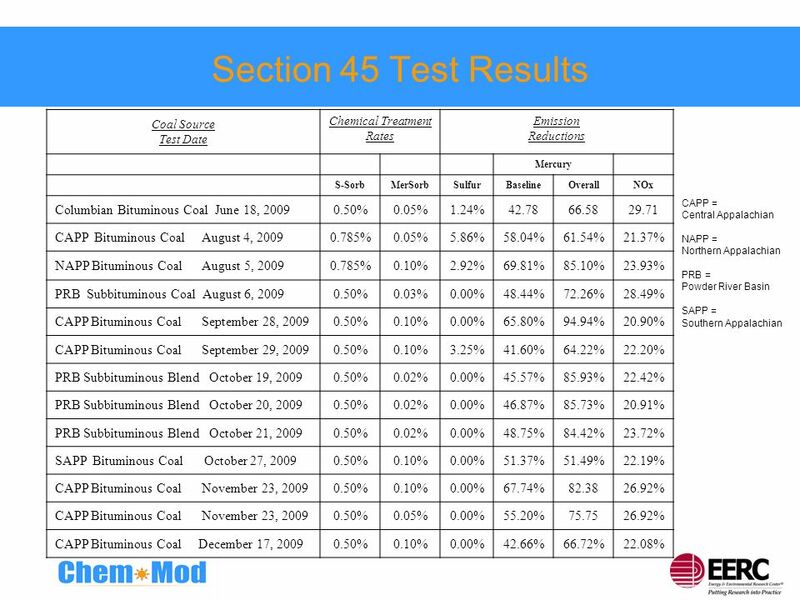 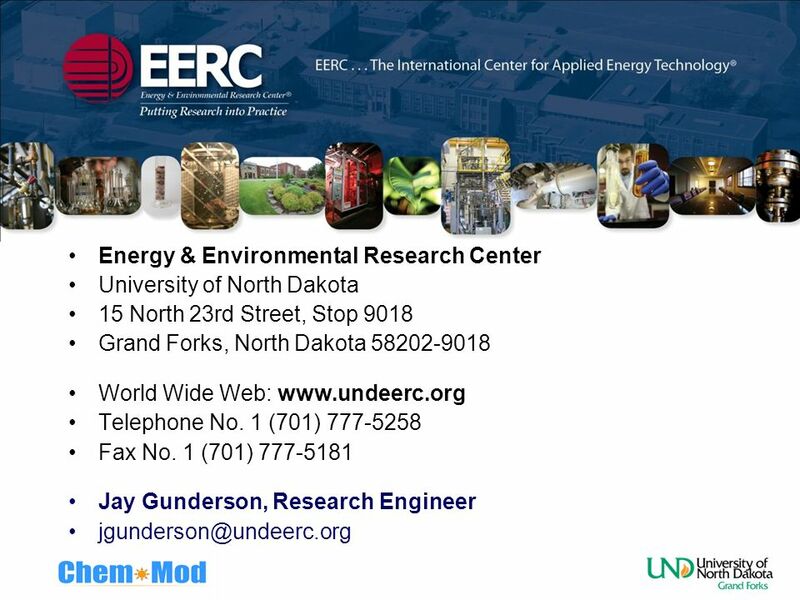 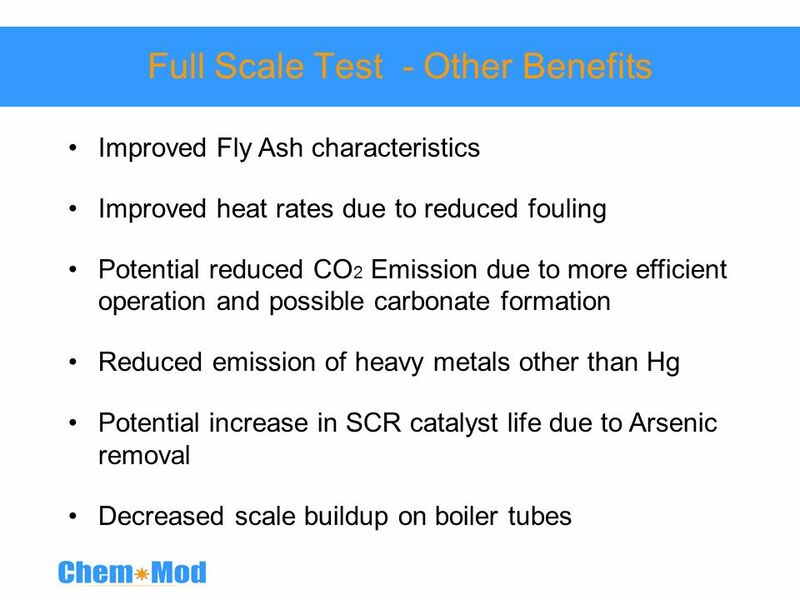 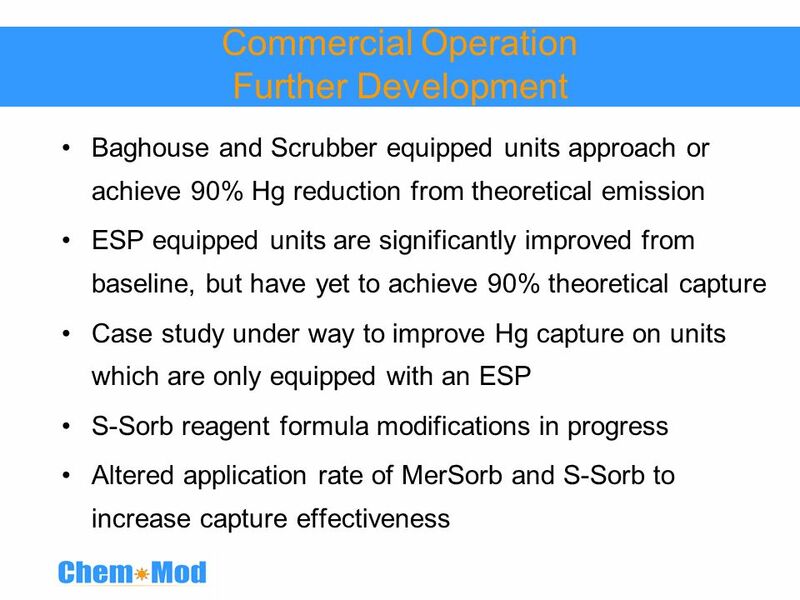 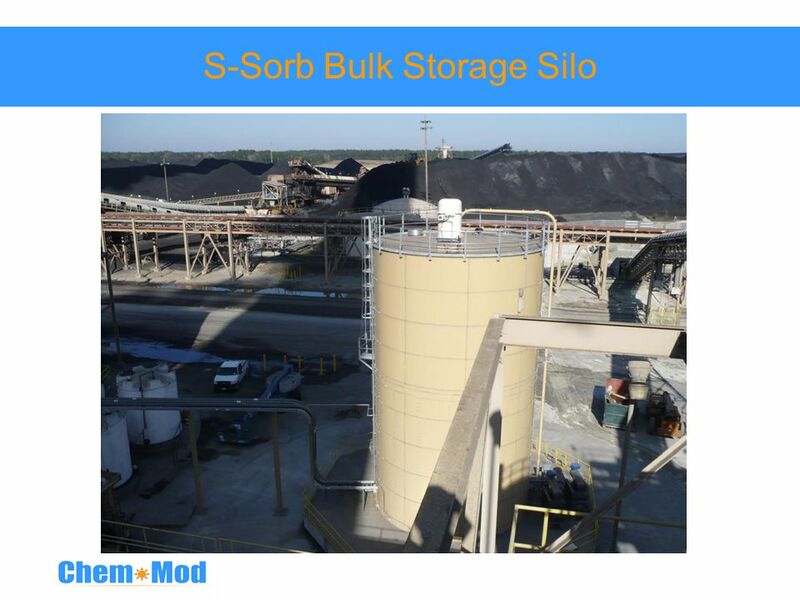 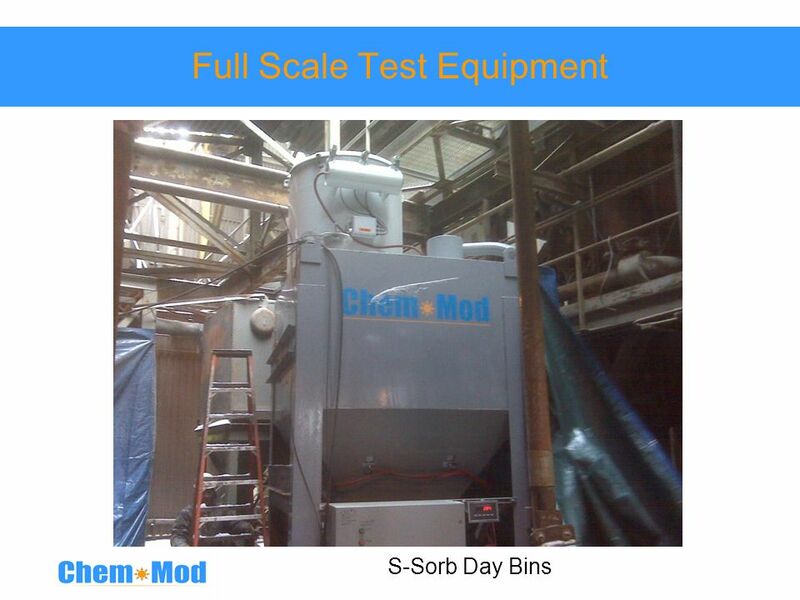 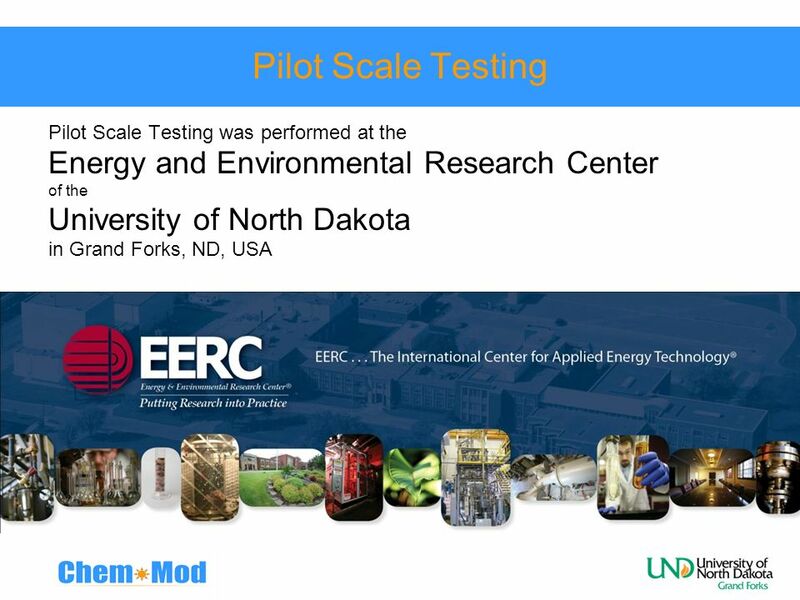 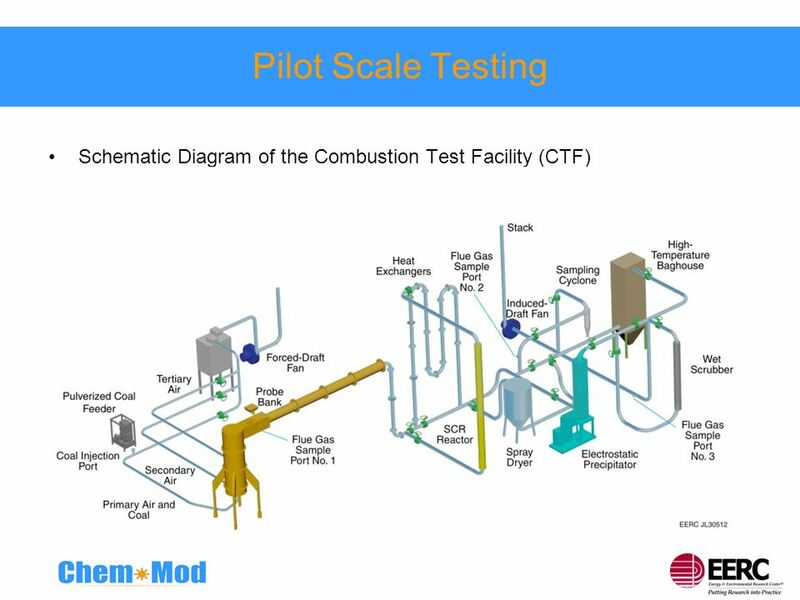 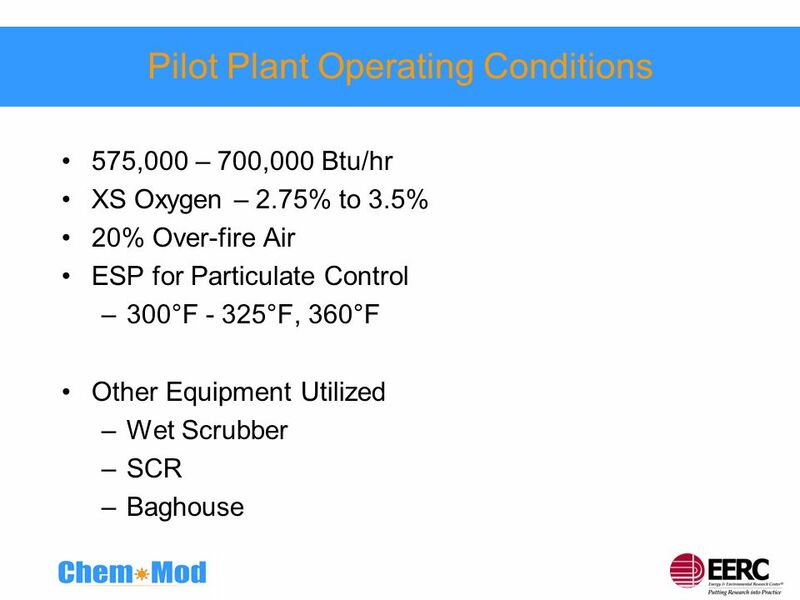 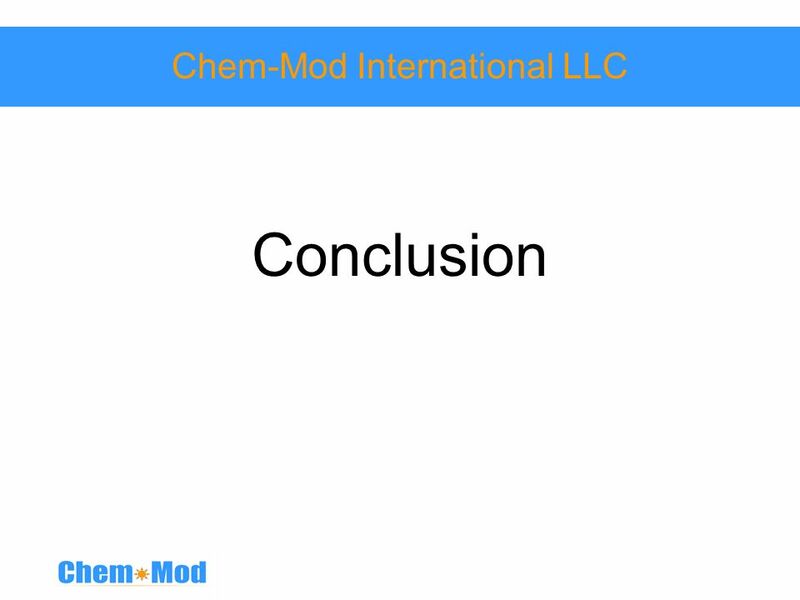 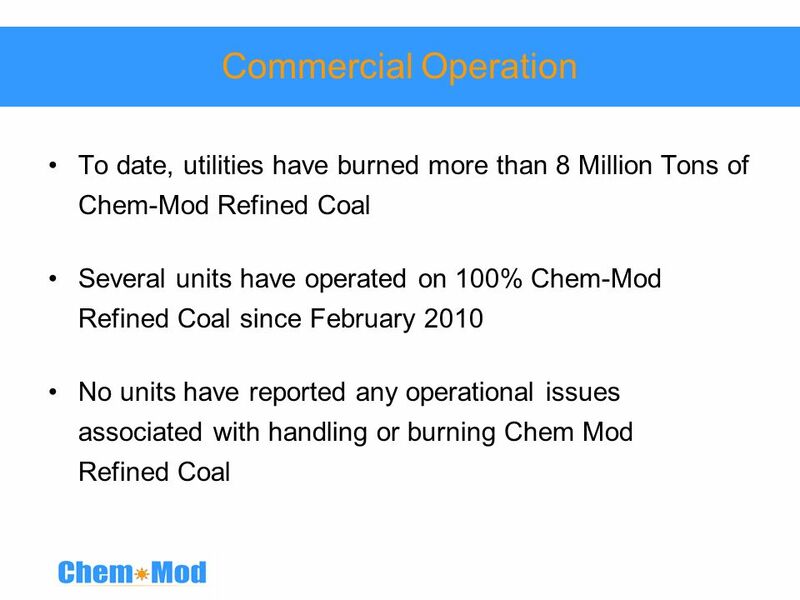 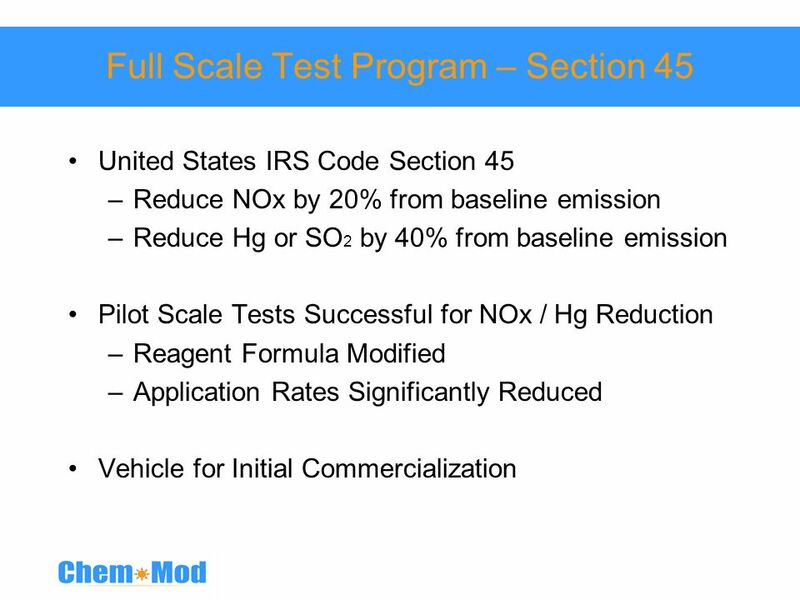 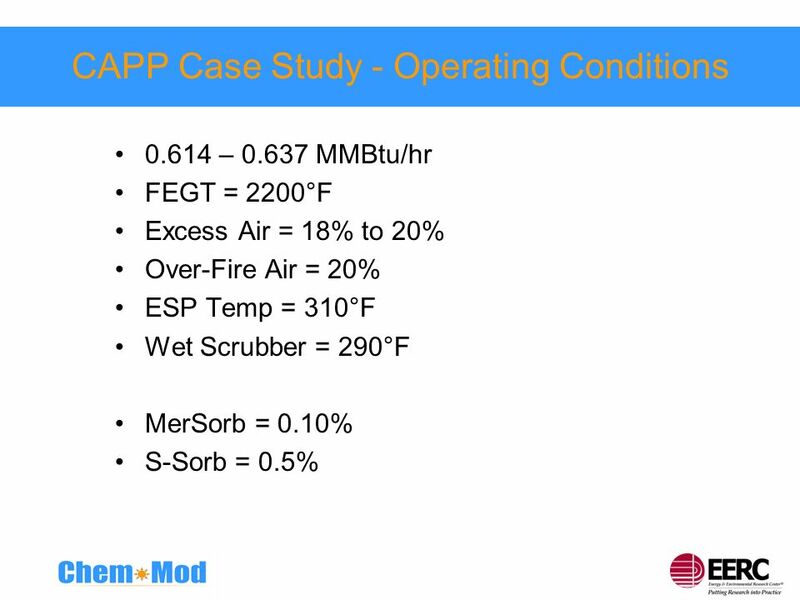 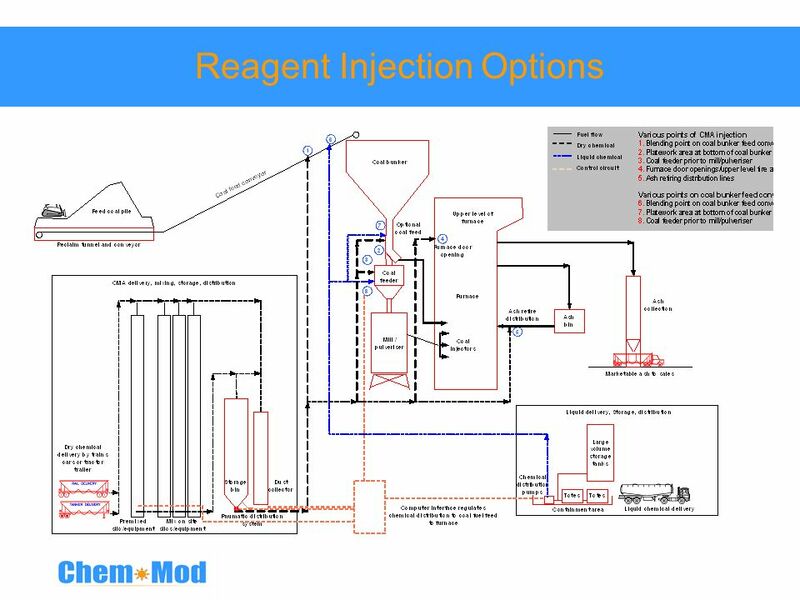 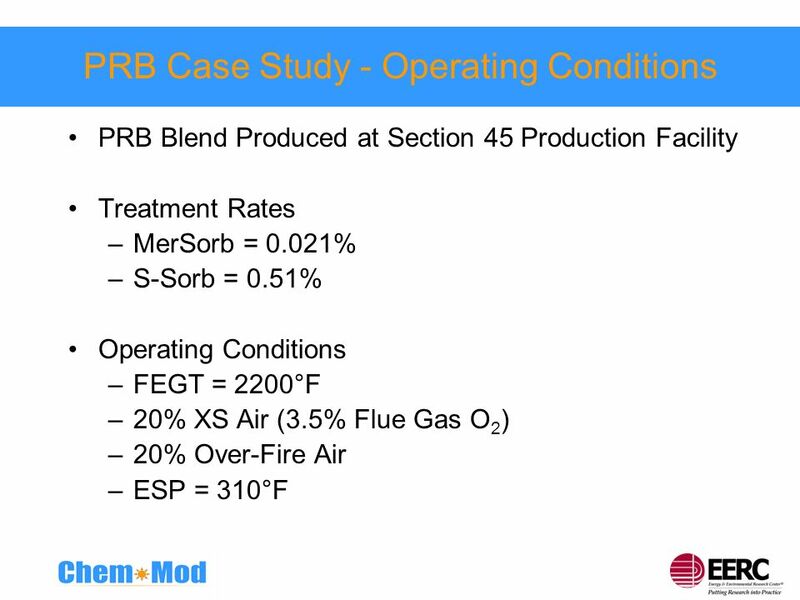 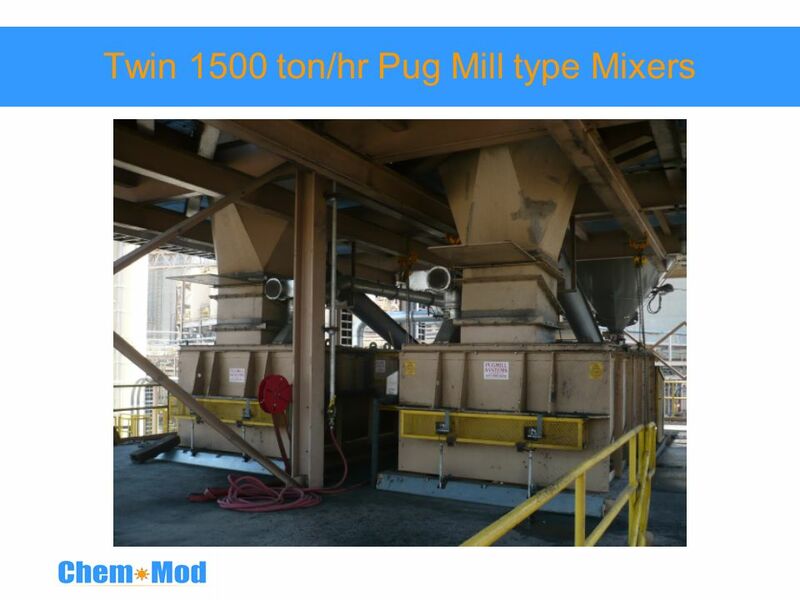 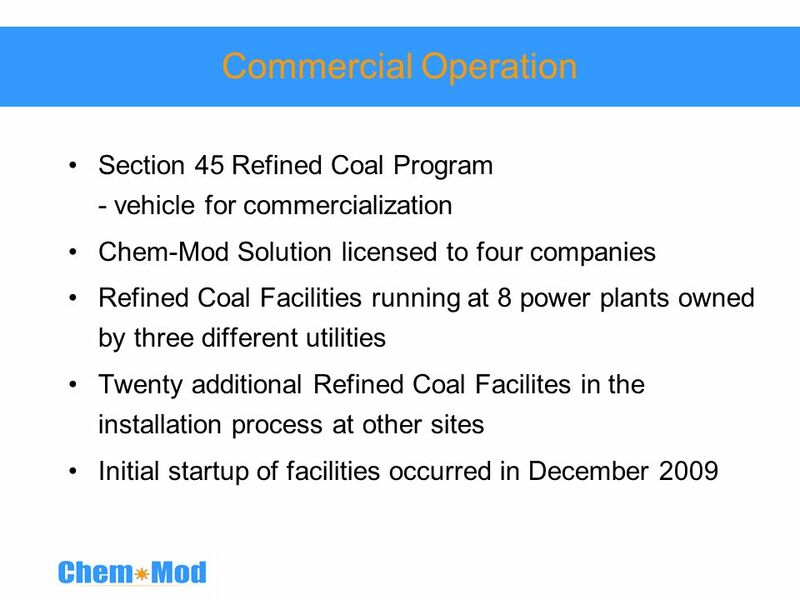 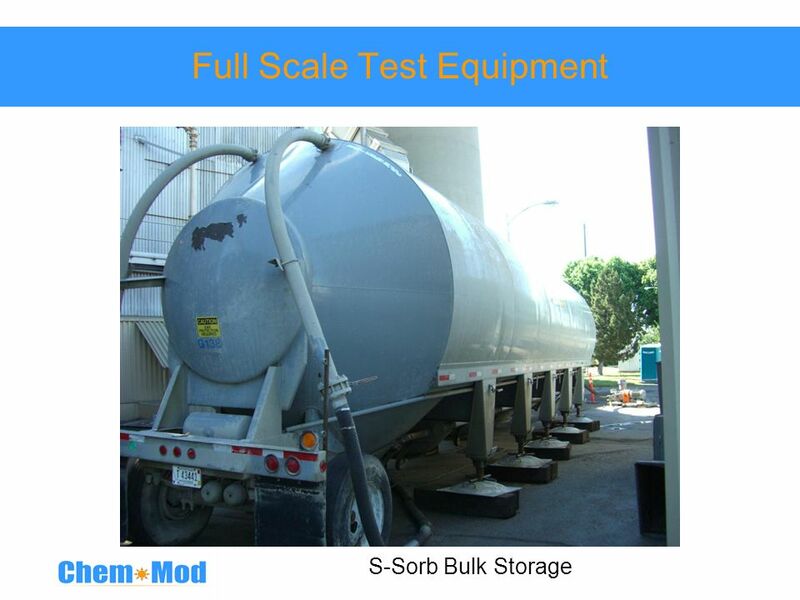 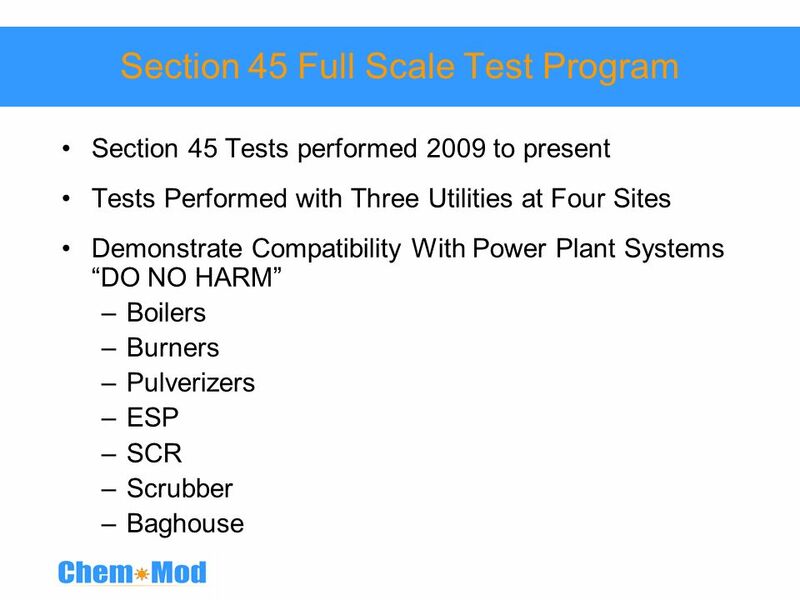 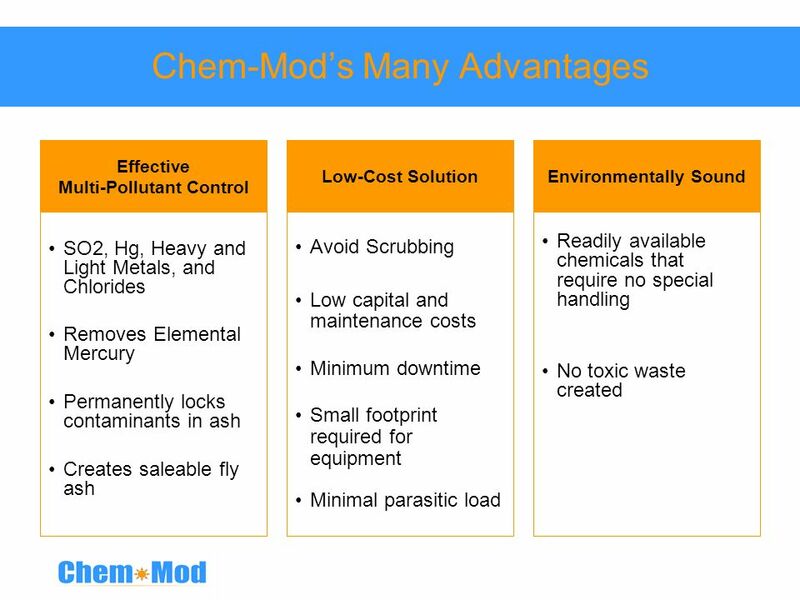 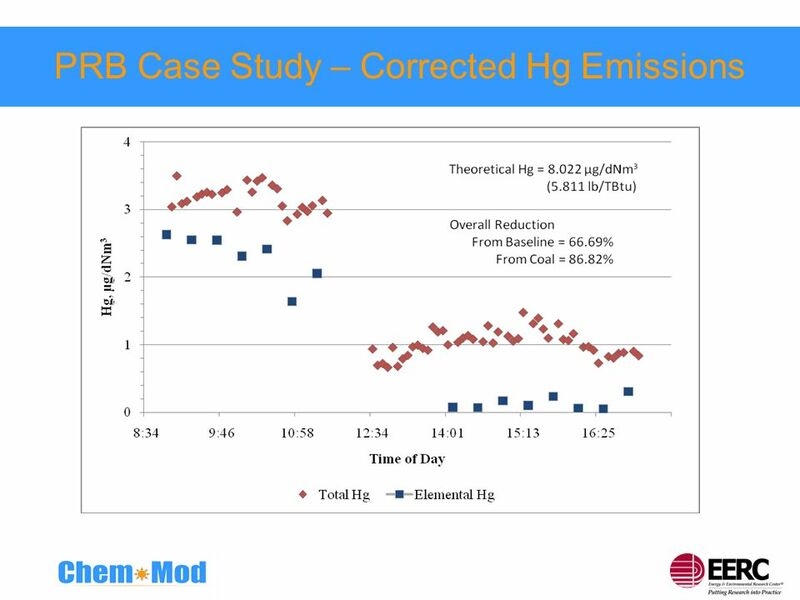 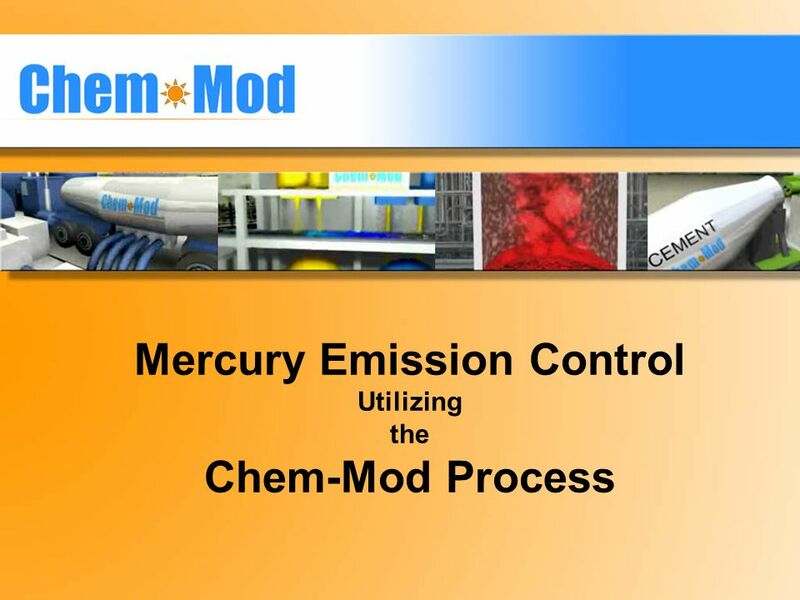 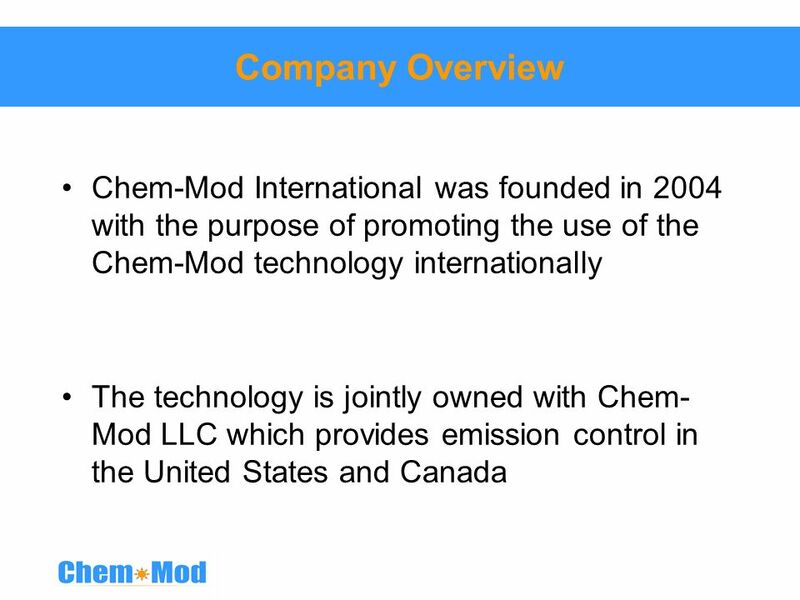 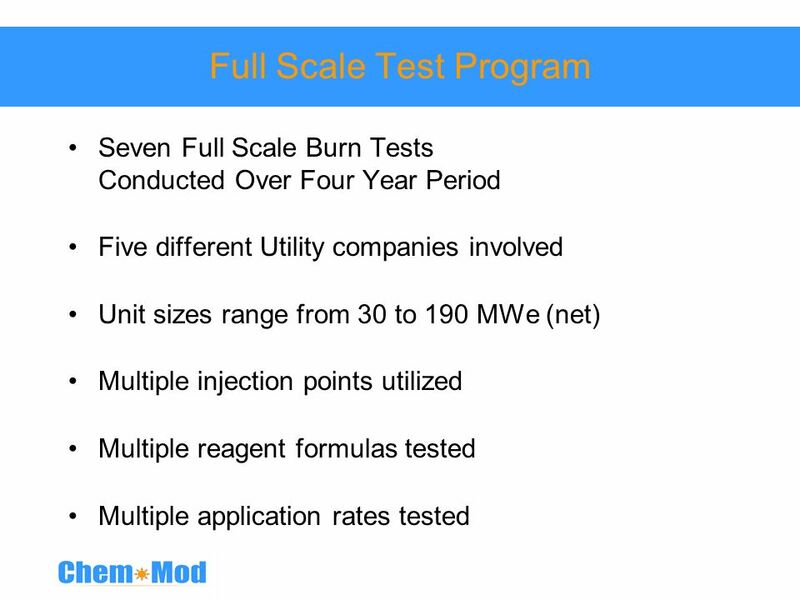 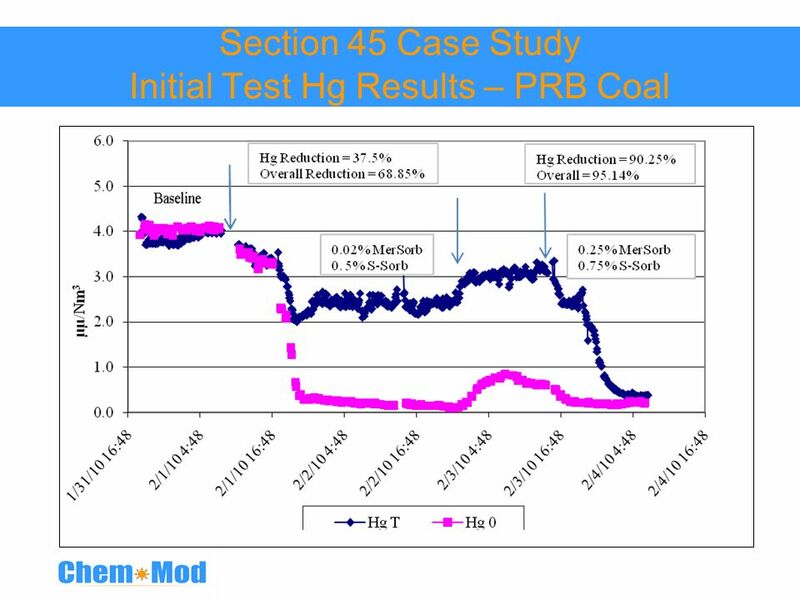 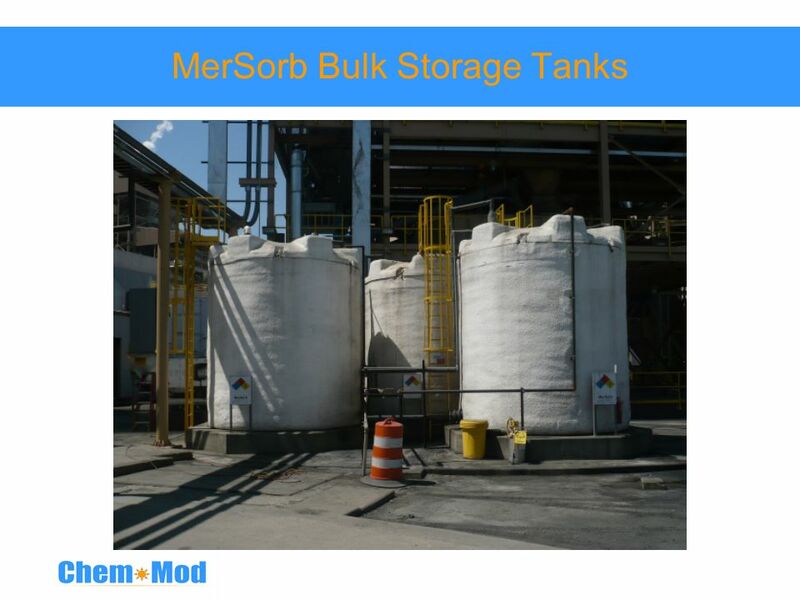 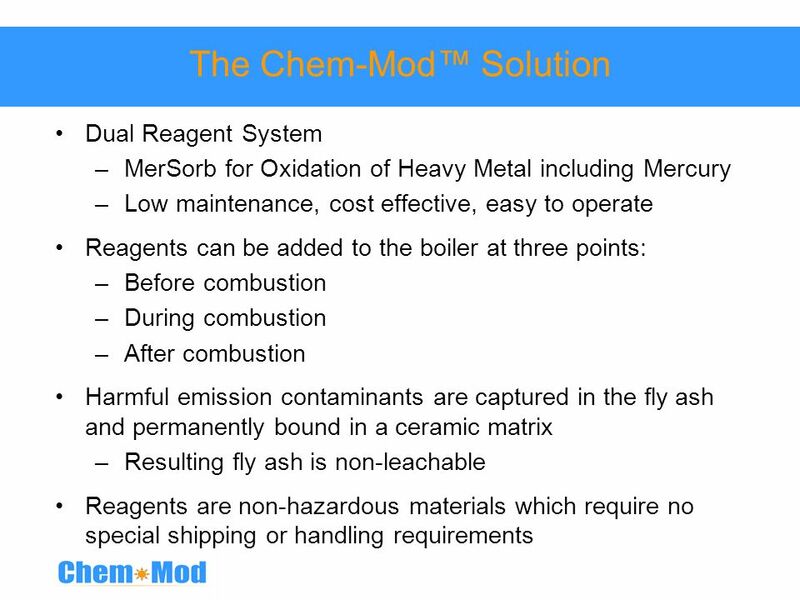 Download ppt "Mercury Emission Control Utilizing the Chem-Mod Process"